With another Atlanta winter slowly ebbing into the billowing abundance of spring, it’s only appropriate that the Atlanta Symphony Orchestra offer an evening of lighthearted concertos to welcome the return of long days, blooming dogwoods and liberal uses of the phrase “Hotlanta.” Such was the case on Saturday, April 6, when the ASO convened at Symphony Hall for an evening of works by Mozart, Bartók and contemporary master Michael Gandolfi. The concert began in a grand fashion, with the evening’s highlight happening first. 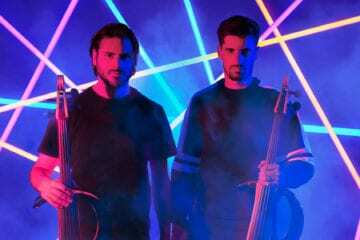 Gandolfi’s Imaginary Numbers was an intricate, colorful tour-de-force that could have easily carried the night on its own. Commissioned by classical patrons Paul and Linnea Bert to commemorate their long-standing friendship with ASO music director Robert Spano and his family, Imaginary Numbers finds Gandolfi invoking a wide range of philosophical and artistic points of inspiration. Opening movement “Sky and Water” was inspired by the 1938 M.C. Escher lithograph of the same name, which depicts geese flying in formation that smoothly morph into fish as they descend into the water below them. In a somewhat similar manner, Gandolfi’s work provides a rhythmic pattern that seesaws between a pulsating and swinging form. The first movement alone is stunning, but it is in the second portion titled “Duetti Misteriosi” that Gandolfi demonstrates a sort of compositional dualism that eludes even the great masters. Where most composers shift wildly between extremes of light and dark, Gandalfi allows both to coexist in haunting union. 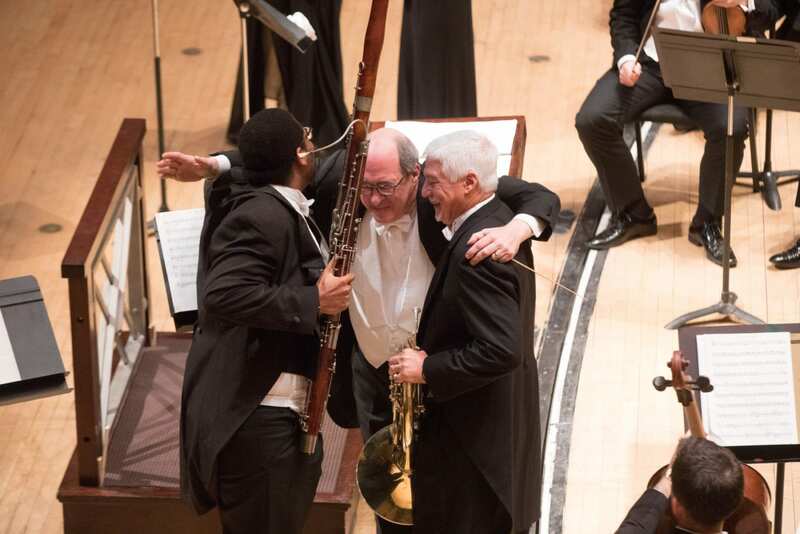 In this movement — whose effectiveness hangs on the kind of epic, wide-reaching acoustics provided by the Woodruff’s Symphony Hall — showcased was a realm where dark, ominously elegant orchestra surrounds soloists whose phrases are comedic and playful. The third movement, “Hymn of the Five Suns,” refers to Aztec and Nahua creation-destruction myths. In musical parlance, this is expressed through a series of exchanges between woodwind soloists while the strings slowly build underneath. The result is thick and dense, all without sacrificing the soft and thoughtful harmonies. The fourth and final movement, “Mandelbrot’s Scherzo,” is, by the composer’s own admission, an opportunity for soloists to flaunt their technical acumen — and did they ever. On the whole, Imaginary Numbers is, like the Cartesian mathematical concept for which it is named, a fascinatingly complex piece. Gandalfi himself was on hand to receive the much-deserved applause. Also deserving of note were the soloists: Elizabeth Koch Tiscione (oboe), Laura Ardan (clarinet), Andrew Brady (bassoon) and Brice Andrus (French horn). It is a testament to the level of Gandolfi’s mastery that the evening’s second piece, Mozart’s Concerto for Piano and Orchestra no. 25 in C Major, K. 503, seemed dull by comparison. 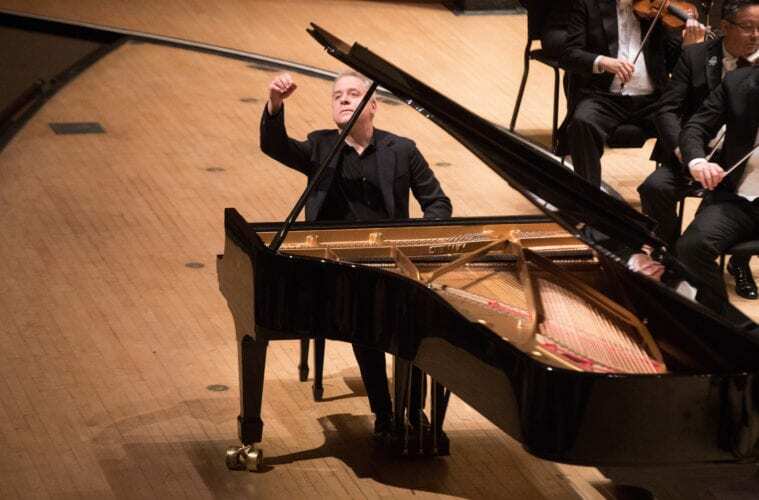 Although the piece was certainly a forum for virtuosity and dexterity from piano soloist Jeremy Denk, the rest of the ASO felt less invested, turning in an adequate but stultifying performance that neither accentuated Denk’s playing nor elevated it to a more transcendent level. Throughout this oddly lethargic passage, I found that I was acutely aware of how warm it had become in the hall — perhaps the players were feeling the heat as well. As if feeling that the night was in need of a kick, Denk offered a surprise piano solo: “The Pilgrims’ Chorus” from Wagner’s opera Tannhäuser. It was a commendable performance with left-hand technique so impassioned in its machine gun accuracy that it bordered on the genre of speed metal music. 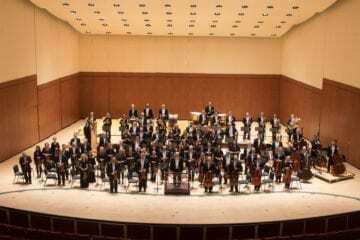 The evening’s third and final piece, Bartók’s “Concerto for Orchestra,” saw a return to form with the ASO capturing the opening strains that are simultaneously soft and contemplative but with heavy tremolo that evokes a sense of underlying urgency. Much like Beethoven’s Symphony No. 9, with its triumphant “Ode to Joy,” Bartók’s “Concerto for Orchestra” was written during a dark and dismal time in the composer’s life, one that he was ultimately able to transcend in writing the piece itself. As such, the work reflects a sense of urgency and of searching for a new sense of zest in a life already languishing in dire circumstances. Dark moments of impassioned angst give way to sunrises and bright new dawns, an effect the ASO strings captured wonderfully. By the end, the audience was laughing along at the comedic jumps and lilts coming out in various solo lines. It is the rare master who can have audiences chuckling at jokes that have no words, only tonality. Overall, the evening’s proceedings felt like a ceremony welcoming the lighthearted, carefree abandon of the season — a veritable rite of spring, if you will. This evening’s performance was a welcome, even if sometimes flawed, look into what lies ahead for the spring and summer months.